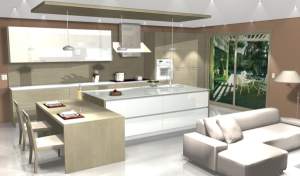 World’s leading provider of kitchen design software and other specialty software design products. From walls and windows, to cabinets and appliances, 2020 helps you design and quote on your kitchen products. Photo-realistic graphics, comprehensive reports, design assistants, flexible and powerful catalogues make designing a joy. And with 95% of the cabinet manufacturers in North America already supporting 2020, there’s never been a better time to choose 2020 Kitchen & Bath Design. Interior design dealers and furniture manufacturers have made 2020 Technologies the world’s leading provider of computer-aided design, sales and manufacturing software solutions for residential and commercial markets. 2020 is the largest company in the world offering a single integrated software platform for industry-wide use – from showroom to factory floor – that is tailored specifically to the interior design business and employed across all environments, desktop and web. 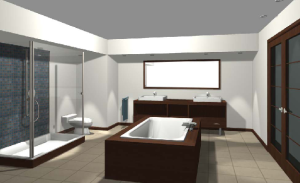 2020 Kitchen & Bath Design continually invents and defines the state-of-the-art in interior design and manufacturing software, providing design, specification, photo-realistic rendering and 3D visualization for configurable products. 2020’s software applications serve individual consumers, retail & online dealers and furniture manufacturers, bringing greater efficiency to design, ordering, production and delivery. The company empowers – with speed, unmatched catalogue selection, and tremendously enhanced flexibility & capacity – every link along the interior design, sales, supply and manufacturing chain. Design, plan and visualize kitchens & bathrooms with thousands of flexible products from manufacturers’ catalogs. 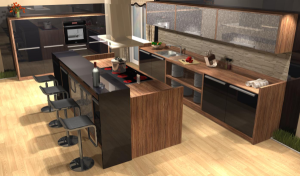 Stunning 3D renderings created specifically for kitchen & bath professionals. Measure and create initial floor plans with your iPhone or iPad using Sensopia Magicplan Integration app. Save a panoramic image for any design and provide your clients with an immersive 3D experience that makes them feel like they are right inside the new design for their kitchen or bathroom. Select cabinets, appliances, accessories and more, from thousands industry manufacturers’ electronic catalogs. Quickly add realistic task and accent lights (includes LED) to your designs with Lighting Wizard. Ensure design compliance with product specifications using built-in NKBA verification capabilities. Ensure accurate quotes with downloaded product and price updates. Use time-saving drawing and positioning tools for a quick layout. Create multiple rooms in one design plan while using one Features and Options catalog. This makes designing easier and allows for more flexibility in the design process. Increase productivity for designers in their day-to-day work with time-saving features. Advanced capabilities for closets and home organization with add-on modules. Automatically produce bills of materials and estimates from your design and place your orders electronically to multiple manufacturers’ using 2020 Live Order.